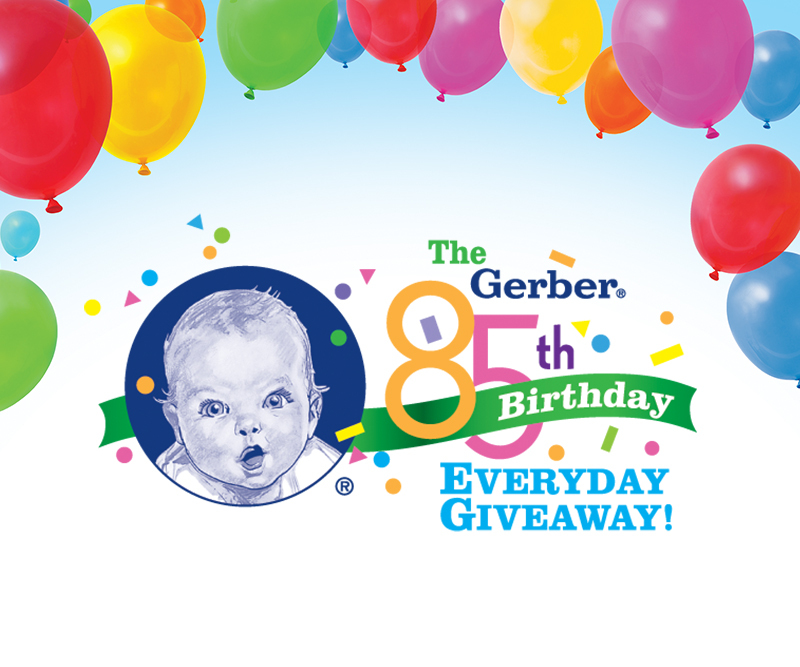 Gerber® 85th Birthday – Zucconi Idea Agency, Inc.
Everybody loves a party. 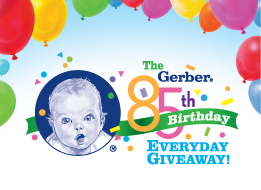 So when Gerber® asked us to develop a consumer promotion during the brand's 85th anniversary year, we created an engaging program celebrating that hugely important milestone. 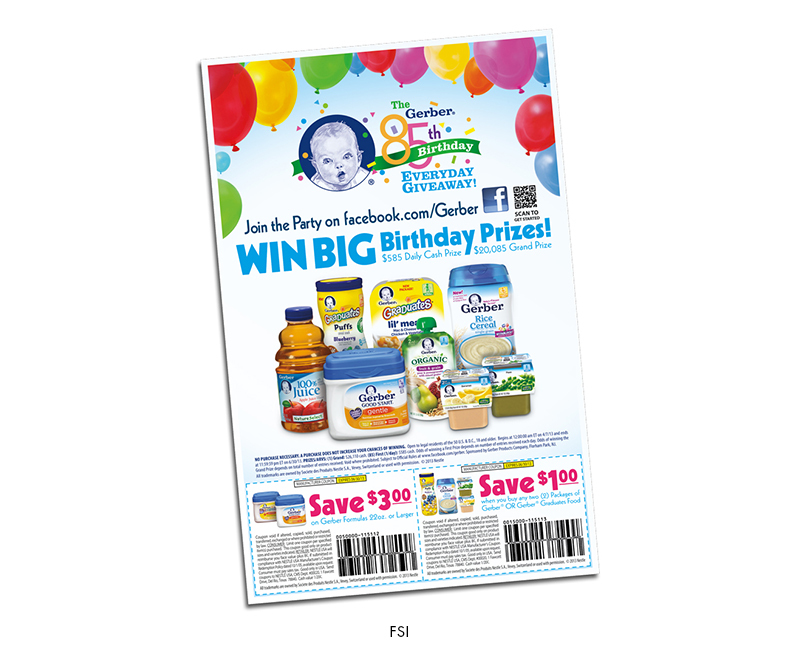 At its heart: a colorful, happy "party" look-and-feel, built around the iconic, universally-recognized image of the Gerber baby. Complete with party hats, birthday cake balloons and streamers, the bright, contemporary visual identity instantly communicated the fun of this very special occasion. And the 85th Birthday Everyday Giveaway gave everyone a chance to take home their very own birthday gifts – including a grand prize of $20,085 to throw the ultimate birthday bash, and 85 daily prizes of $585 "birthday cash." But it's not all about presents. 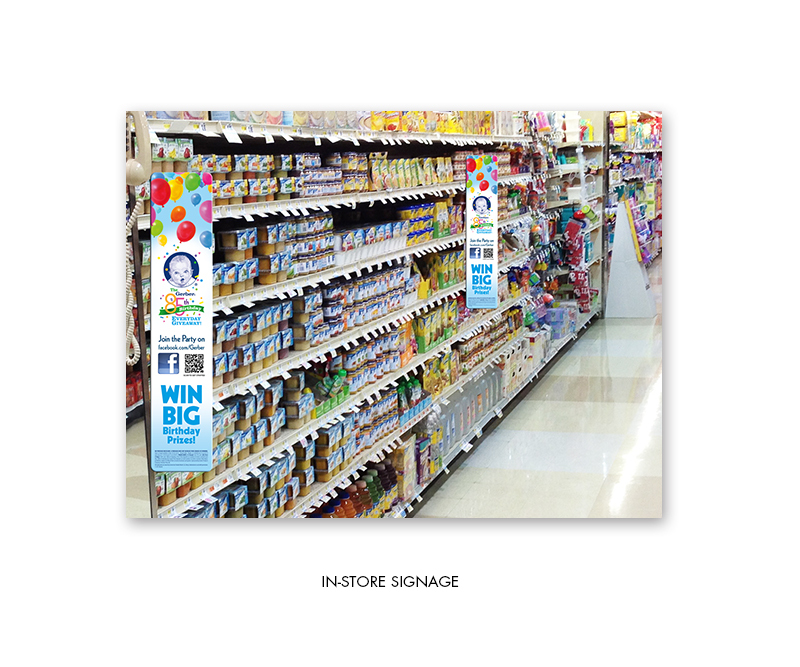 It's also about presence: as in 360-degree visibility across a range of media. In-store. National full-page FSI. And, most importantly, Facebook and mobile applications, where the party games engaged and delighted consumers every day. If the party was a hit, the results were a smash. Tremendous consumer participation. Enormous retailer support. All in all, a birthday to remember.